The tremendous progress in astronomical observations over the past sixty years has revealed a vast structured universe whose fundamental parti- cles are galaxies, and clusters thereof. The interpretation of the new astronomical evidence owes much to Einstein's insights and deductions. All our knowledge of the world derives from the light, more generally the energy, which reaches us from near and far. Einstein recognised the vital role of energy as the solE~ basis of our information about the workings of nature; his Special Theory of Relativity showed how our understanding of space and time Is linked with measurements involving reflecting light signals. He further demonstrated that matter exists in two interchangeable forms - a mass form and an energy form - which interact closely at all levels. His General Theory of Relativity dealt with the nature of this interaction in the context of gravitational fields, and led to a view of the universe which was soon observationally confirmed. 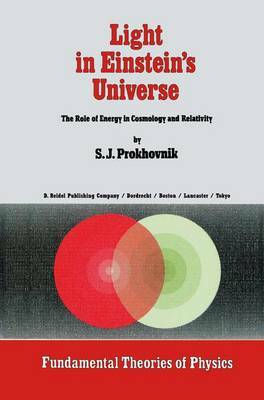 Einstein's methods and results form the theoretical basis of modern cosmology which has spawned many 'models' of the universe; how- ever, they all deal with an Einstein-type universe and they all employ his geometric approach to describe it.